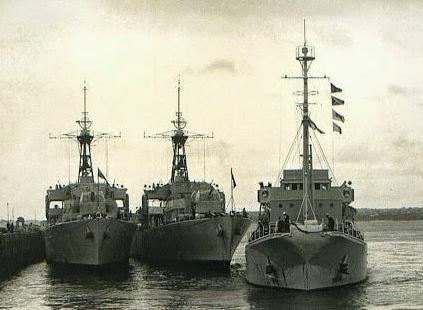 Here is an image of three old ships which not many of you will remember. 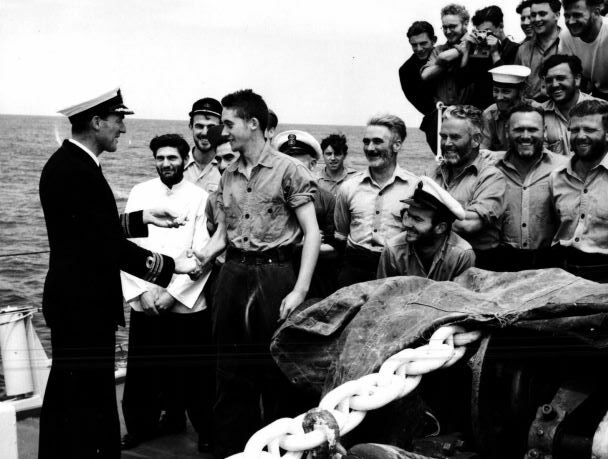 This photo was taken when Pukaki was about to sail in company with Hawea and they escorted Endeavour to the Ice Edge when she was taking Sir Edmund Hillary to Scott Base, Christmas 1956. Robin Franklin was the Navigating Officer of PUKAKI then and is probably the only surviving officer of that commission. He dosen’t remember HAWEA accompanying them. Robin has provided three images to add to the collection. 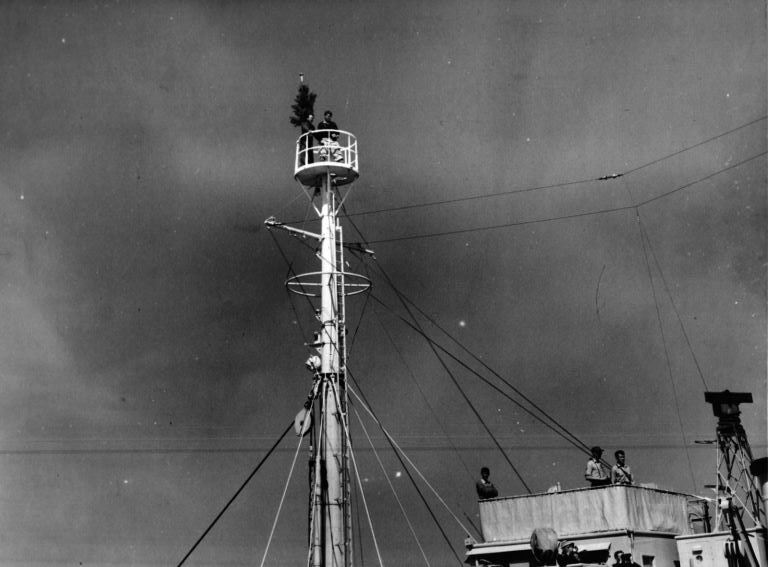 This image prompted a signal from ENDEAVOUR “the conqueror of Everest has conquered our crows nest” This image was taken Christmas 1956. They images are courtesy of the late Tom Lloyd who was also aboard at the time. An historic occasion Jim just two days after i signed the dotted line! 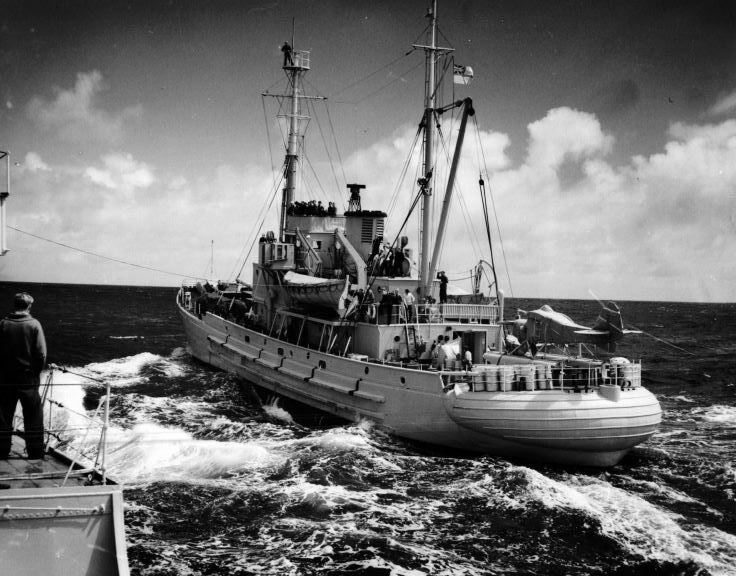 Pukaki was my first frigate draft as an OD 1959/60 This was a whole years commission away and was probably one of the last of these lengthy voyages.It must have been hard on those with families but to me a great adventure where i grew up fast.